This next week will be a coming out party for the class of 2014 & 2015, as Oregon and Washington’s top athletes will be on display competing against other NW top kids. We have seen most of these athletes at the NEI/Barton regional combines over the last three months, but the showcase event will be the first time they have all been together anywhere this season. One of the biggest benefits of Barton Football and NEI is that we get to train with a majority of the top athletes on a consistent basis. This gives the top kids the opportunity to compete against one another, and really battle equal competition. All of these individuals have benefited greatly, as they have been able to get better by competing against "the best". Check out some of the top underclassmen who will be attending the showcase event. There will be a host of other top kids there as well competing with all of the top NW kids from the 2013 class. Went for 17 Tds rushing and receiving in 2011, while going for almost 2000 All Purpose Yards. Won the 100 and 200 Meter state titles in the State of Washington as a freshman. Was the only sophomore on our NEI Washington Elite team we took to Vegas for the national 7 on 7 tournament where he tore it up. Just an incredible talent that could have the entire country offering before his career is over. 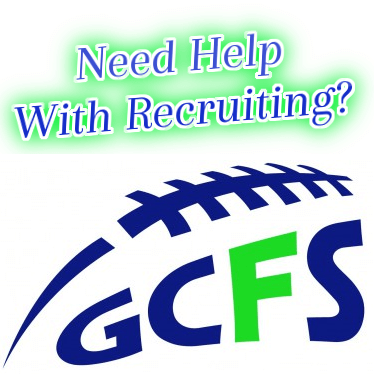 Is physically dominant and has a frame that any line coach would love to work with. Outstanding overall athlete, with an incredible upside. Brother of Oregon Duck commit Oshay Dunmore, who is considered one of the top DB’s in america for the 2012 class, and a nationally ranked decathlete. Yadie went for over 1400 All purpose yards and 16 Tds as a sophomore at Newport, but will transfer to 6A state powerhouse Sheldon with his brother now attending the UO. Phenomenal talent on both sides of the ball Started as a freshman at QB/DB, and will focus on his QB duties this season. Could project as a DB at the next level or just a guy that can do it all. Kick returner, punt returner, QB, Slot, DB, whatever you need him to do. Many of you are probably familiar with the Royster name, as they have a laundry list of professional athletes within the family in both football and baseball (Father, Evan Royster-Redskins, Jerry Royster-20 + yrs MLB, Mazio Royster USC/NFL). Marqueese will be part of the 17U team USA squad that will compete in Texas later in the summer. Outstanding two way threat that you will see on both sides of the ball on a nationally ranked 2012 Jesuit team. Will be considered one of the top DB’s in Oregon, and will eventually be a go to guy on offense. Outstanding body control. Started both ways as a sophomore for the Metro League champion Skyhawks. Scored on both sides of the ball, and one of the top long jumpers in the state. Morgan’s upside is off the charts as he is still growing into his body. Recently tore it up at the Ohio St camp and was recognized by Scout.Com as one of the top performers. 2nd Team all league kid as a sophomore that can also block. Very talented overall athlete (basketball) that should be considered one of the top TE’s in the northwest. Big time talent that recently had a concussion so his services are in question for the event.